When it comes to drawing use case diagrams one area many struggles with is showing various relationships in use case diagrams. In fact many tend to confuse <<extend>>, <<include>> and generalization. This article will look into various use case diagram relationships in detail and explain them using examples. 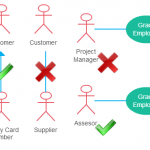 To get a deeper understanding of use cases check out our use case diagram tutorial. 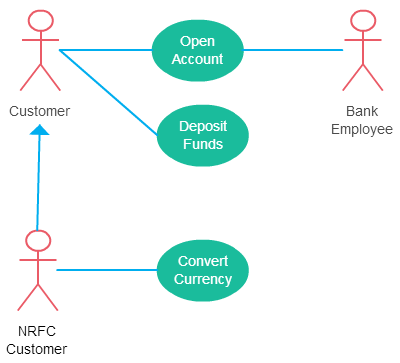 If you want to draw them while learning you can use our tool to create use case diagrams. There can be 5 relationship types in a use case diagram. Let’s take a look at these relationships in detail. This one is straightforward and present in every use case diagram. Few things to note. Check out the use case diagram guidelines for other things to consider when adding an actor. 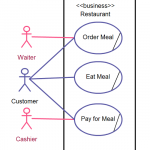 For some further reading regarding the difference between extend and include relationships in use case diagrams check this StackOverflow link. 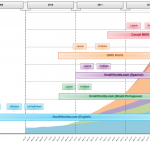 I hope you found this article about use case relationships helpful and useful. 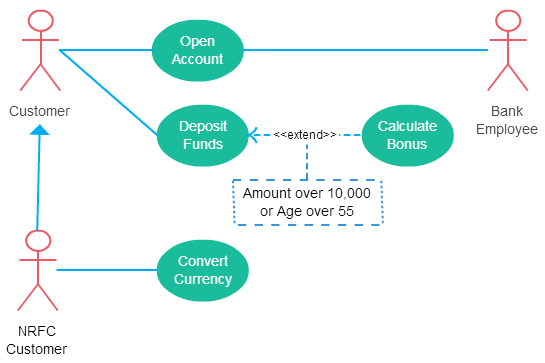 You can use our diagramming tool to easily create use case diagram online. As always if you have any questions don’t hesitate to ask them in the comments section. Does an included use case have to be used everytime the base case is used? yes it does. the included use case is always be used everytime the base use case used. it’s like when someone’s sneezing he always close his eyes. sneezing is the base use case and closing eyes is the included use case. is it possible to make extensions within a use case itself. itself be extended.” – UML 2.5.1 Specification. Found it better than other tutorials…. explaining everything as part of the development process. Thanks, hope to see other tutorials on OOAD and other topics. This tutorial helped me to understand the difference between include and extend. Keep it up bro. Good luck! why use <> in use case? In Visual Modeling we model according to some standard. Every shape or sign has a meaning.To draw relationship between Use cases we use to express the type of relationship by mentioning relationship type within . It’s a standard. I agree – the best tutorial explaining the relationships that it can truly be understood! Thanks!! What is the difference between “Extend” and “Generalization”? I was preparing for my CBAP exam and this post helped me understand the difference between Extend and Include. Awesome Tutorial. 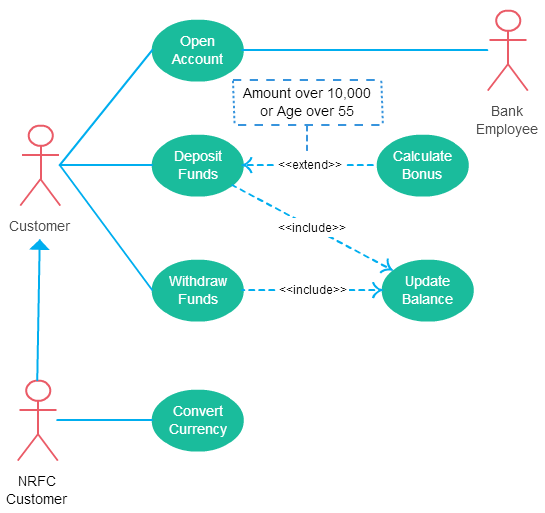 now i understood use-case-relationship……..
Super Tutorial….. very very helpful for me to learn about Use Case Diagram……Thank u very much and I have a grate proud about u as a Sri Lankan. Keep up.